My new hometown doesn't feel at all like home, but I will give it time. It took months of prayer for the Lord to lead me to even consider moving, which eventually led to a position as editor for the Joyful Life Sunday school curriculum at Abeka Books in Pensacola, Florida. Decision day was January 31, 2018. And then a huge moving truck. And then I boarded a flight because in the process of planning this move, I had forgotten all about my car. (Who forgets about their car?) Thank the Lord for my Pastor David Clear and his wife, my sister friend Valerie, as they bailed me out by driving my car from Minnesnowtah to Florida, where we all enjoyed dinner together on my first night in town. Friends sometimes have to double as "keepers." I have some of the very best friends on the planet. The time between January 31st and moving day on March 27th was a blur that I can only recall in part, as the focus on moving was intense and felt like being on a bullet train! Oh me of little faith, I was quite certain that my older home would not sell in a market surrounded by newer homes. My next door neighbor Andrea was also my real estate agent, and she had complete confidence that my home would sell and sell FAST. She put her head together with my sister friend Vikki, who specializes in staging homes, and before I knew it, my home looked like a model and I was getting nervous. "I'd better speed up the packing," I thought to myself after returning from a conference and seeing the results of Vikki's home staging. I didn't recognize my own home! And I loved it, so now I was thinking that maybe Andrea was right: this home would sell. Oh oh. 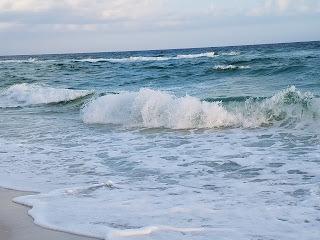 I never had a second thought about my decision to move to Pensacola, but I have had moments of high-level stress, like the moment I heard that the house had sold...a mere 36 hours after going on the market! Stress causes the thinking to stray into the panic zone. Thankfully, we can take our thoughts to the Lord and He knows how to settle us down. 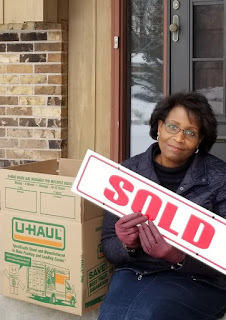 "Casting down imaginations, and every high thing that exalteth itself against the knowledge of God, and bringing into captivity every thought to the obedience of Christ..." (2 Corinthians 10:5) I needed my imagination to stop running wild and start walking through the process of selling a home and moving across the country. So, I took my fearful thoughts "captive" and turned them over to the Lord. He replaced my panic with peace. Moving is not for wimps or whiners. It is HARD WORK, and it doesn't end quickly. I wish it could be like dry cleaning: in by 10 and out by 4, but it's more like birthing a child without pain meds! I don't know what course my life would have taken if my Norman had lived longer, but I do know that he and I both greatly loved Florida, so my best guess is that he would have approved of this move and would have been packing boxes way faster than his pokey wife. Pensacola is growing on me. I love the Campus Church, the ministry of Pensacola Christian College, and the people. 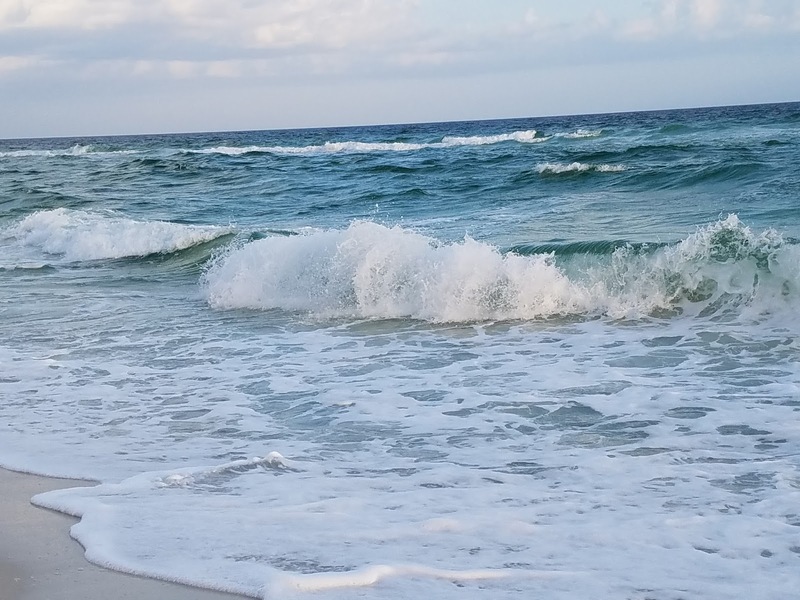 And it is no secret how much I love "sea shells by the sea shore," so living this close to the Emerald Coast is no hardship. This move will be good for me, but I do not have a mistaken notion that this will ease or speed up the grieving process. I know better. 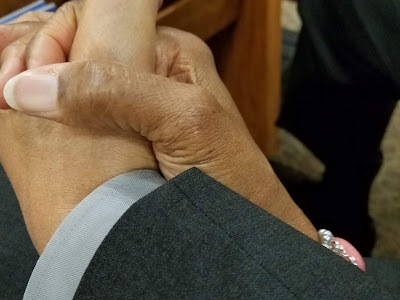 I was blinking rapidly to hold back tears as I walked into the church auditorium recently. Here I was, surrounded by over 6,000 people and yet I felt so very alone. I even had a family that invited me to sit with them and have lunch with them after church and yet, I felt so very alone. Only God will be able to heal this broken heart. "He healeth the broken in heart, and bindeth up their wounds." (Psalm 147:3) I don't lack the presence of people. I lack the presence of my Norman, and he is irreplaceable. That knowledge doesn't trouble me. I will forever be grateful for the years we had together. Sometimes the memories bring tears, but at other times, I see his big smile on the movie screen of my mind and it comforts me. Everyone that knew my Norman loved that trademark smile. Keep the Heart will continue with a focus on books and Bible studies, as previously planned. I will also continue to teach at ladies' conferences around the country, although I have trimmed the schedule to allow me to do my best in both roles. I would greatly appreciate your prayers as I learn the ropes as the new editor of Joyful Life while continuing as Founder of Keep the Heart. I am now in double-full-time Christian ministry. I guess that means I'm a double-delivery-girl.